Some Like It Hot–Really Hot! Many restaurants offering Asian fare include szechuan dishes suggesting a tangy, hot pepper experience from the Sichuan Province of China. However, very few are authentic cuisine from this region and not all spices or peppers are created equal. 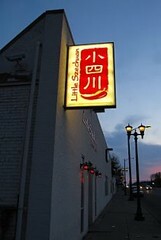 In 2007, Little Szechuan open its’ door offering 200 dishes prepared by chefs from Sichuan. MarkdownMom enjoyed one of the restaurant’s popular dishes Kung Pao Chicken and to entice the sweeter palate an appetizer of honey shrimp. Delicious! Get enough friends so that you can try at least 3 dishes with a heaping bowl of rice and tea–you won’t be disappointed! Moderately priced and served by a friendly staff. An Authentice Chinese Dining Experience In The Twin Cities! Northland Visions is one of MDMs favorite Twin Cities stores to purchase unique and artistic gifts. They feature works from local and regional American Indian artists and Native-Inspired products such as Growing Blue Flower soaps, lotions, and salves; Pendleton vests, blankets, and jackets with Native designs; beaded earrings, hair pennants, and bracelets; and sterling silver and turquoise rings, necklaces and more. Also in-store, you can purchase bead design books; beads, sinew, leather straps, and jingles to make your own jewelry; sweet grass, sage, and smudge shells for clensing and prayer; and Minnesota-grown and produced wild rice, jellies, maple syrup, tea, and fry bread and soup mixes. They also carry large gift baskets with Northland Minnesota-Grown goodies. Did you know that over 85% of all American women are wearing the wrong bra size? Well, Oprah and the girls (Trinny and Susannah) from What Not To Wear do! Last summer they staged a Bra Intervention and had Susan Nethero, an expert bra fitter, help all the women in Oprah’s audience find the right bra size. Wearing the correct bra size can be very uplifting, no pun intended. Your clothes will fit better, you will instantly look slimmer and feel great, no surgery needed! However, if you weren’t in Oprah’s audience and missed the show, how do you know what bra to look for? No worries! Fashion Bug is having a free in-store bra fitting event. All bras are buy one, get one 50% off. But you need to hurry with this one as it is only this Saturday (Feb 9th) 10AM-6PM! While you are at Fashion Bug, check out their wide selection of 40% off jeans and 80% off clearance items! If you are unable to attend the Fashion Bug bra event, be sure to visit the Fashion Bug website to learn how to measure yourself for the right bra fit. Having the look of a consignment shop, but the selection of a designer outlet is a genre of bargain stores that are in a class by themselves. MDM has come across a number of these entreprenueral enterprises, and when that occurs her initial reaction is to savor the moment and buy, buy, buy! These shops are the back wall clearance racks where all those great bargains are found. If designers Charles David Anne Klein, Lauren, DKNY, Steve Madden, Prada, Kathy Vreeland, Minx at 70% off doesn’t get your bargain heart pumping, then you will have to step next door at the Opitz Annex where you will find blowout flat prices like dresses and name brand handbags for $5, and next week $15 women’s boots. MDM recommends to take the time and look over these items for any small flaws, however, at 90%off+you can afford to take a chance at less than perfect. MDM gives this place two thumbs up for bargain hunters! Your pocket book and closet will cry with joy! Clean lines, contemporary looks, a bit of wimsy, and great bargains greeted MDM at the huge IKEA store across from the Mall of America. 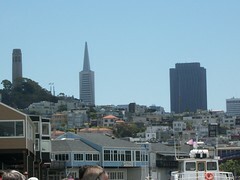 Divided into two levels, the size of the store has proven somewhat daunting for first time visitors. MDM recommends making your first visit to the store during the weekdays and off-peak hours since weekends tend to be crowded; otherwise, you may have to leave a trail of crumbs to find your way out. The top level of the store is the Showroom where you can see a full set-up by room. On this level is a restaurant & café. This is the level to jot down the numbers of the individual pieces you wish to purchase and pick-up on the 1st level below. If you are purchasing items, MDM recommends parking on the upper level, which places the customer at the entry of the 1st level. IKEA is open daily from 10am-9pm, and the restaurant café from 9:30am-8:00pm. You can get breakfast for 99¢ until 11 a.m. Ikea provides instructions how to shop its’ stores online, so be sure to take a look before your first visit because it will avoid a lot of confusion. 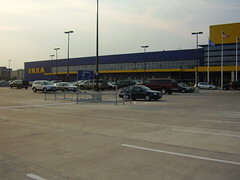 IKEA provides wheelchairs, superior to the Mall of America, and has had electric carts, too for its’ customers–although at this writing they were not available. Strollers are also provided, and Ikea has storage lockers to place packages from other stores or coats for a 25¢ fee that is refundable. Bags and shopping carts for keeping track of merchandise are provided, too. All products are written in swedish, but the pricing code will tell you if you can pick-up the item or will have to special order it, additionally each item list its’ dimensions and other valuable information to assist in your decision. MDM especially liked the 1st level Marketplace that contained throw rugs for $1.99, prints, designer accent lighting, housewares and so much more. A sample of items you can find include stainless kitchenware, lighted shelving, bamboo plants, designer rugs,etc. MDM did not fail in her mission to locate the clearance section. In the left corner of the Marketplace as you are entering, you will find an "As Is" and "50% off" sections that include furniture and other items. Take your time and you can find some real bargains and be sure to ask about shipping and delivery if you are unable to take it with you. The Swedish Food Market had some great chocolate filled cookies and MDM was able to find a stainless steel cheese slicer/shaver–can be used to shave chocolate as well–for $4.99. You could spend the entire day at IKEA if you have to, but MDM recommends that if you have the time, take IKEA in stages to appreciate all that it has to offer. Bring your own bag(s) to take your goodies home or pay a nominal 5¢ for each. Worthy of several visits especially if you like finding all those neat design accents and materials that you see on your favorite decorating shows, at bargain prices. Hats off to the Swedes for combining utility and style.